Whether you're looking to relax and get comfy or warm up for a game, custom sweatpants are the way to go. What better way to show you individual style or show off your team, school, sorority or fraternity or event than by creating custom sweatpants. Thousands of teams have trusted Shop4Teams with their apparel orders since 1985. Featuring customized uniforms, warmups and practice gear, Shop4teams has athletic apparel to fit any budget. You’ll find the brand names you love and trust including Hanes, Jerzees, Badger and Holloway. Our products come only from the most trusted brands. This means your ladies sweatpants will always be of the absolute highest quality. Don’t settle for boring ladies sweatpants, when you can have your team name printed on the leg, hip or back of sweatpants from Badger Sport, Gildan, or Holloway? It’s all just an order away at Shop4Teams. 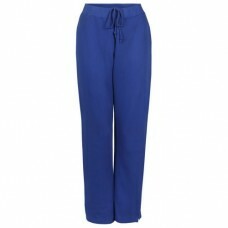 At Shop4Teams, we create innovative, top-quality ladies sweatpants that you alone will wear. Our friendly & knowledgeable sales & service team is here for your via phone, email, and chat. So before your next game, get designing and make that awesome sweatsuit to show off your pride! Size chart 9.5 oz. Ringspun 60% cotton/40% polyester Twill taped side vents Wide spandex reinforced .. Size chart Slightly flared leg pants with a comfy encased elastic waistband and differentiating f.. Size chart 9 ounce 60% cotton/40% polyester athletic fleece * Woven label * Rib-knit waistband.. Size chart Temp-Sof fabric is a colored heather performance fleece with high mechanical stretc.. Size chart 9.5 oz. Ringspun 60% cotton/40% polyester Wide spandex reinforced rib knit waistband Outs.. Size chart 100% Polyester moisture management fabric Wide covered elastic waistband and outside draw.. Size chart Tri-Blend Vintage Heather is now available in a French Terry Fleec..
LIMITED QUANTITIES ! Please call for availability !Size chart 100% polyester performance wicki.. Size chart NEW! 10 oz. Pennant premium fleece, 60% cotton/40% polyside pockets with seamle..